Would you try another book from Ramakrishna Reddy and/or Derek Doepkar? 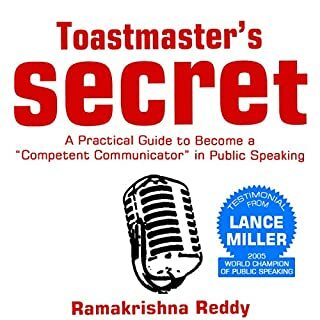 Has Toastmasters Secret turned you off from other books in this genre? The narration was odd; there was no "flow" to audiobook. I wish I could get my money back. I will be very cautious with these so-called "reviews," before I purchase these things in the future. There is no way this audiobook had that many positive reviews. I wish I had bought something else.